Here is chapter two of the four chapter series, “Apostle’s Sword.” We’ll be revealing one chapter every Thursday until the series in completed, though you can read it in it’s entiry now at Fanfiction.net. Even if you didn’t read the previous installment, I beg you to give this story a shot. There are quite a few fan fics out there related to both anime and Christian spirituality, and most are poorly written. However, this is one is good – really good. “Apostle’s Sword” is a retelling of the first two Rurouni Kenshin OVAs (which are stunning pieces of work, by the way) using a Christian background based in history and the Bible story of Saul’s conversion from a zealous anti-Christian to a follower of Christ. The story is written by a freelance writer, melcon, who is amazing. It also doesn’t preach, so I highly recommend all readers out there, believer or not, to take a read. Tokyo was hot and teeming with people, crowded with refuges from Kyoto and filled with soldiers, Ishin and Shinsengumi alike. I kept my hair bound up under a hat and my scarred cheek covered with a bandage, careful to avoid anyone who might report me back to Katsura. In truth, I grieved at abandoning my commander but I knew that I could no longer kill for him. It took us two days, but Tomoe and I finally found Ananias. He owned a shop near the outskirts of the teeming city. As we approached it, I could see the smoke from his forge rising. Inside was a craftsman’s domain, and scores of beautiful knives were displayed around the shop. Yet, I saw no swords, save the one that hung at my side. We announced ourselves to an apprentice of Ananias, and soon the man himself was before us: tiny, stringy, and shriveled with age and the heat of his forge. He peered at us intently for several moments before saying, “Kenshin Himaru, you are welcome in my home.” He bowed low and Tomoe and I followed suite, although I could sense the tension swirling in the air. Somehow I knew that he understood precisely who and, more precisely, what he was welcoming into his home. Ananias directed us inside the house where we were soon kneeling on tatami mats. A woman, Ananias’ wife I assumed, appeared silently at his elbow bearing a tray of tea. After serving us, she quietly lead Tomoe away to another part of the house, leaving me along with the blade maker. For some reason, I found myself nervous in his presence, nervous as I had not been before in a long time. He said nothing for several minutes, merely sipping his tea meditatively and observing me with eyes that were frank but gave nothing away. Finally he set his tea down and spoke. “So, Battousai of Kyoto wields a sword of the blade maker Ananias,” he said with a hint of a smile tugging at his lips. Surprised, I glanced involuntarily at the sword rack where I had placed my blade as etiquette dictated. Ananias nodded his head at me, and I went over to take it from its resting place. Hesitantly, I offered it to him and he took it with strong, scarred fingers, two missing part of the nail. He carefully slid it from the saya and examined it. I waited quietly, wondering dully if the blade maker could read the history of the sword in its metal, as if the steel encased the screams of the dying in its cracks and chips. “But sir, why did you give it up?” I questioned, not sure if I was being rude. “But you make knives,” I responded. I reflected on that for a moment. It was a desire to save lives and make peace in the country that had set me on the long road to becoming Battousai. But I knew now, as my master Seijuro had known and told me then, that I could only accomplish death and sorrow with my slaughtering blade. “I would like to know more about how to do that,” I said clumsily, unaccustomed emotion suddenly welling up in me and threatening to send tears coursing down my cheeks. I hadn’t cried in years, not since I was a child. “And you will,” Ananias said, then looked thoughtful. “However, Tokyo is not the place for you. There are too many people who would recognized Battousai the Manslayer and, forgive me, but you have now turned your back on your Inshin comrades, am I right?” I nodded, feeling shame welling up in me. If only I could explain myself to Katsura. But it could not be for I was now both traitor and enemy, having allied myself with the Christians. Ananias arranged for a safe house for Tomoe and I in a remote village five days’ walk from Tokyo. 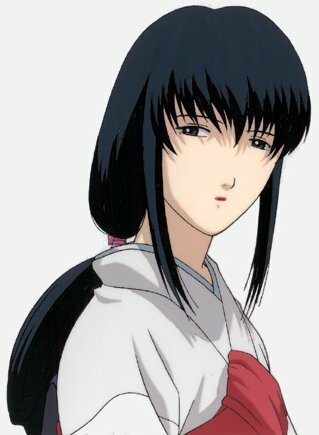 He treated Tomoe as my wife, and I did not bother to correct him. All thoughts of leaving her behind had vanished; even if I could have found a kind family to take her in, I knew that I would have been in constant worry about her safety. I had no doubts that soon another Slayer of Christians would rise up in my absence, and the thought of Tomoe’s blood falling like rain was enough to make me certain that my sword was never out of my hand’s reach. So it was Tomoe and I along with Barnabas, one of Ananias’ friends and a devout Christian, who made the five day journey to the village. I knew only that it was tucked away in the hills and removed from the turmoil that Japan was rolling in. It was also full of Christians. During the five day journey there, I was wracked with anxiety. I would be among the people that I had tried so hard to exterminate, and no doubt their hatred for me would be strong. I did not look for any comfort or acceptance from them, only a chance to hide from the conflict and find some meaning in the life that had become mine. As the days passed, I grew anxious for Tomoe’s safety. What would they think of her, this woman who had aligned herself with Battousai the Manslayer and claimed him as her husband? Would they turn against her even though she was one of them? Barnabas, however, proved to be a welcome source of encouragement, a cheerful sort with indomitable optimism. He showed no fear in the face of Battousai the demon of Kyoto and, strangely enough, treated me as a companion. He also never ceased to speak of the name of Jesus, and during our five days’ walk, I learned much about this One who had called me out of a blinding light. Barnabas had relatives in the village and was planning on staying in the village for some time to help them with the fields. As our journey grew to a close, I became increasingly thankful that Barnabas would not be returning to Tokyo immediately. The life of a manslayer had been a solitary one, and little did I understand the meaning of the word “friend” nor even know that such a thing was desirable. Barnabas, however, had shown me differently. The village appeared on the fifth day, a mean-looking, hardscrabble place at the foot of a large hill. It was not a cheerful sight, and I wondered what Tomoe would think of this place that I had brought her. As we approached, a small crowd of people, the entire village I presumed, began to wander towards us. Their eyes were curious and their faces were rough-worn, those of men and women that struggled hard to put food on their tables. A cry of fear rushed through the crowd. Mothers clasped their children to them and people shrank back in terror. Several threw their hands over their faces. I felt dread clutching my stomach and knew that this was no place that Tomoe and I would ever be welcome. I feared they would have driven us out of the village had it not been for the sword at my side. The village elder had been inching forward until he was close enough for me to smell the odor of work and age that clung to his body. Reaching out a hand that was not quite steady, he placed it on my head. “We accept your fealty. Welcome.” A sigh emanated from the crowd as people looked at me, fear still tingling in their eyes but courage overtaking terror. I stood, feeling a strange weakness in my knees that matched the corresponding odd sensation of tears on my face. “Kenshin,” I responded, returning the bow. “Kenshin Himaru.” I paused for a moment and half-turned, looking at Tomoe. “My…my wife, Tomoe.” A small sensation rippled through the crowd. Who would have thought that Battousai the Manslayer was a married man? “Welcome, Tomoe,” he smiled. Tomoe came to stand at my side, facing the village calmly. I think it was the sight of Tomoe, beautiful and demure at my side, that helped ease their fears. Several nervous smiles accompanied the bows, and I saw a few of the older boys gawk at Tomoe in open-mouthed admiration. If the situation had not been so wrought with emotion, I would have perhaps felt a little angry at their obvious interest. As it was, I only felt suddenly weary with the strain of travel and constant worry. As we stood there, a shaft of settling sun illuminated the village, bathing it in pure gold. As I raised my eyes to it, I saw that the village was suddenly splendid in its radiant light. Peace tugged gently at my soul, and I was at once aware that there was rest to be found here, a refuge in a land torn to pieces by conflict. I had no illusions that this peace would last, but for the moment, it was enough. For the moment, I had found a safe place for Tomoe and I and, with the will of the one who sent me, it would stay that way for quite some time. If you can’t wait for next week’s installment, read the rest at the Fanfiction.net website.